Dairy is one sector that is government by a supply management system in Canada. The North American Free Trade talks (NAFTA) are going badly and it increasingly looks like the U.S. side is trying to sabotage them on orders of the protectionist president Donald Trump. 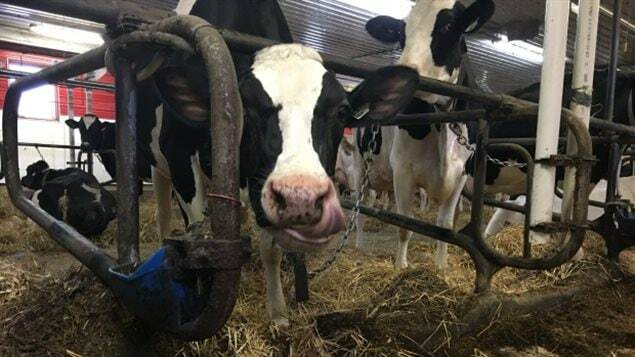 Sources have told the Canadian Press that U.S. negotiators are now demanding that Canada scrap its entire supply management program for dairy, poultry, eggs and turkey within 10 years. The sources say Canadian negotiators are calling the demand “a non-starter.” The argument is that the U.S. has many of its own support programs for farmers. Negotiations have been going so badly that some pundits are saying the U.S. is depositing “poison pill” demands in hopes of having the talks collapse completely. There have been reports that some U.S. negotiators themselves are reluctant to argue demands even they don’t agree with. The problem with the United States is the problematical Businessman Donald Trump who is now ruling his fiefdom Fortress America. He never was a politician who is suitable for this Presidential ballgame. This is very simple. When you think you have the power, you force other people to accept your demands. If that power were true today, that would be the result. The good news is that we are not living in such circumstances in history where we have to submit to such interests. The true, true is that anything will last for ever, and world’s economy is a matter of time and circumstances.